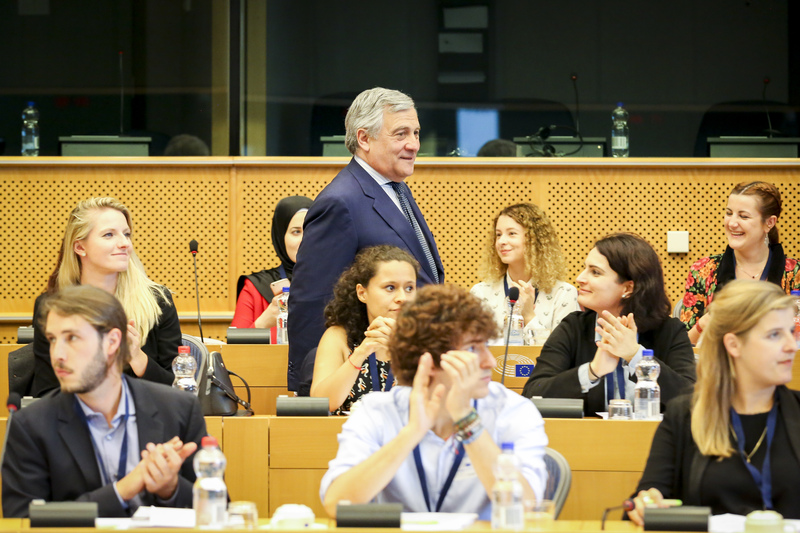 "The Young Political Leaders programme symbolises the European Parliament's support for future generations committed to working for peace, democracy and human rights outside the EU." We are pleased to welcome you to the website of the European Parliament's Young Political Leaders programme, launched and supported by the Democracy Support and Election Coordination Group, which we have the honour of Co-Chairing during this Parliamentary term. The YPL programme is a flagship initiative of the European Parliament designed to promote dialogue and understanding as a means to contribute to longer-term peace and trust amongst future leaders outside the EU. We believe this is an exciting and complementary initiative, alongside the EU's overall efforts, to support young leaders committed to achieving a more peaceful future." The European Parliament's Young Political Leaders Programme acknowledges the importance of building dialogue between future political leaders in order to develop a climate of trust and confidence that will ultimately lead to a more peaceful world. By connecting young political activists from non-EU countries with one another and with their counterparts in the European Parliament, experiences of peace and democracy can be shared and further developed. On 20 -21 September 2018, about a week before the historic referendum on the name issue in the former Yugoslav Republic of Macedonia, the European Parliament is launching a dialogue on youth political participation in Skopje. The event will be hosted by the Macedonian National Assembly and will be organised partnership with the Assembly and the European Commission. The 2nd High Level Youth Dialogue "Bridging the gap" will once again provide a space for youth representatives and young Members of Parliaments from the Western Balkan to deepen dialogue and an agenda for action on youth policies which are central to ensuring the European perspective of the countries in the region. The regional perspective also contributes to initiatives to support reconciliation and good neighbourly relations, which is a fundamental part of the regions successful progress towards the EU. 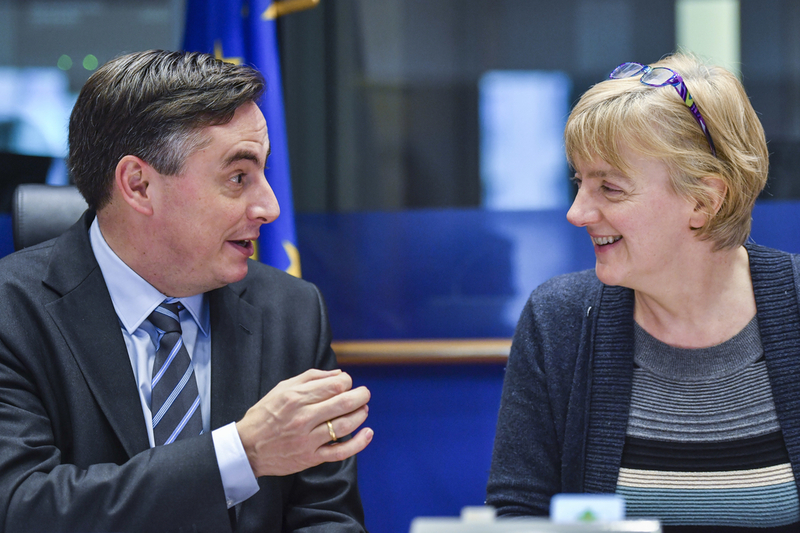 The programme of the Bridging the Gap dialogue was extended with the introduction of Policy Labs sessions together with the Joint Research Centre (JRC), the European Commission's science and knowledge service. The Policy Labs will address four critical topics - Youth engagement with politics, Youth Employment, Enterprise and Brain Drain, Fake News and Disinformation as well as Reconciliation and Legacies of the Past. As well as producing policy recommendations, the Policy Labs will provide an innovative policy design blueprint that could be used pro-actively in the implementation of youth policies at the national level in the Western Balkans countries. 'Young people are agents of innovation, development and change and, as such, are natural and essential contributors to conflict prevention and peace building around the world.' was president Tajani's message after officially opening the two day high-level conference on Youth, Peace and Security. 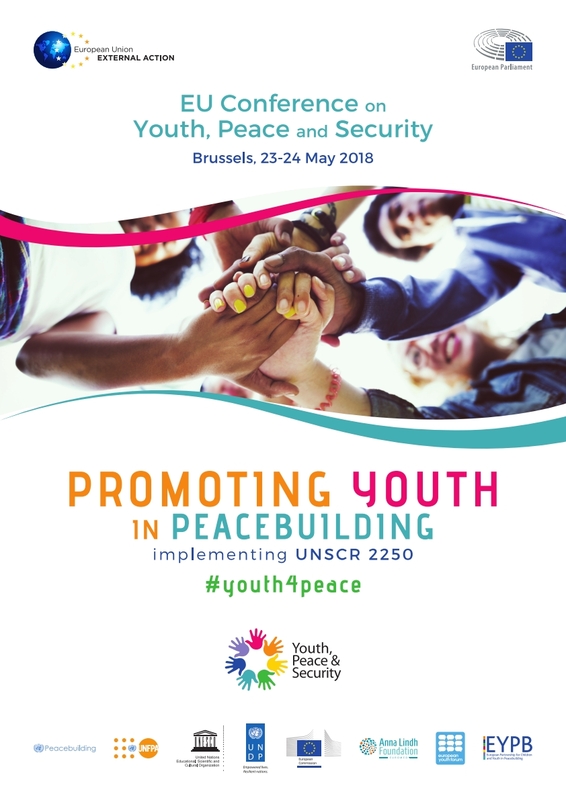 This conference, held on 23 and 24 May 2018 in Brussels, was an essential part of EU's implementation of the Youth, Peace and Security agenda, as set out in UN Security Council Resolution 2250 (UNSCR 2250). It builds on the work done at around various EU youth networks, including the European Parliament's Young Political Leaders' Programme, and other initiatives to promote youth in peace building. · It asserted the European Parliament's full support behind the EU's engagement on Youth,Peace and Security as it was envisaged by the DEG 2018 annual work programme and as an essential part of the European Parliament's Young Political Leaders' Programme. · It provided an innovative platform for EU-level policy dialogue on Youth, Peace and Security through engaging youth from and working with the EU and a very diverse range of stakeholders in a level playing field. · It created further impetus for EU-UN cooperation on youth in peace building. This conference was foreseen in the Democracy Support and Election Coordination Group's 2018 annual work programme and is an essential part of the European Parliament's Young Political Leaders Programme. 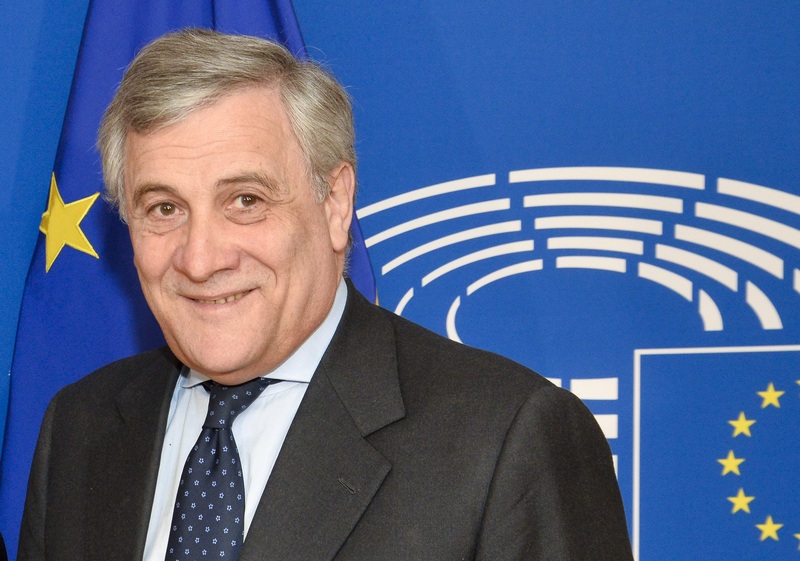 European Parliament President Antonio Tajani opened the conference, with several Members of the European Parliament actively participating. The conference was officially closed by Federica Mogherini, the EU's High Representative for Foreign Affairs and Security Policy / Vice-President of the Commission, at the offices of the European External Action Service. The EU has been stepping up its work on the implementation of the Youth, Peace and Security agenda, as set out in the UN Security Council Resolution 2250 adopted in 2015. This EU Conference on Youth, Peace and Security represented a milestone in the EU's engagement with the agenda, aiming to catalyse the EU-UN strategic partnership on youth in peacebuilding. Young peace builders were joined by representatives of EU Institutions, EU Member States, UN entities and other multilateral and non-governmental partners. The Young Political Leaders Programme included, for the second year in a row, a specific project focussing on Armenia and Azerbaijan, aimed at fostering dialogue on the Nagorno-Karabakh conflict. It brought together young leaders from political parties, non-governmental organizations and academia from each country and encouraged them to explore ways to play positive roles in peaceful dialogue and the search for solutions to the conflict. This programme included sessions with key Members of the European Parliament and other experts, as well as two facilitated case studies during which participants were invited to reflect on their own situations and identify opportunities for their own contexts. The participants also explored opportunities to work together on the further development of projects and initiatives related to the search for a peaceful solution in Nagorno-Karabakh. The dynamics during the second Young Political Leaders for Armenia and Azerbaijan on the Nagorno-Karabakh conflict showed a positive deepening of the dialogue with constructive and positive exchanges between participants reflecting openly on their own national views. The result was a programme that was widely appreciated by the young leaders. They expressed that it contributed to building trust, as well as to their empowerment, as present and future opinion leaders, to pursue peaceful solutions to the Nagorno-Karabakh conflict.